Dr. Simpson’s research, as noted in the Tower, was reprinted in publications around the world. The British magazine the Economist, wrote about him here. Kelly’s illustration media? Graphite pencil scanned into Photoshop and colored using a Wacom tablet. 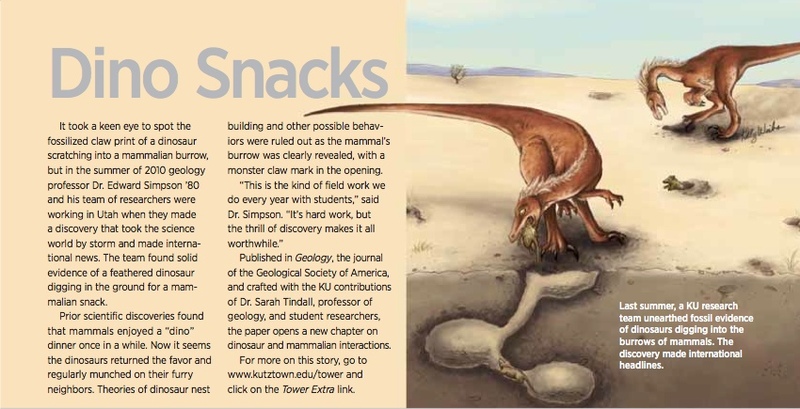 KU design students tend to complain about being forced to take General Education courses, but here is one instance where a Gen Ed course paid off. Even though Dr. Simpson’s Dinosaurs is a large early morning lecture class, it is so popular that it fills quickly. 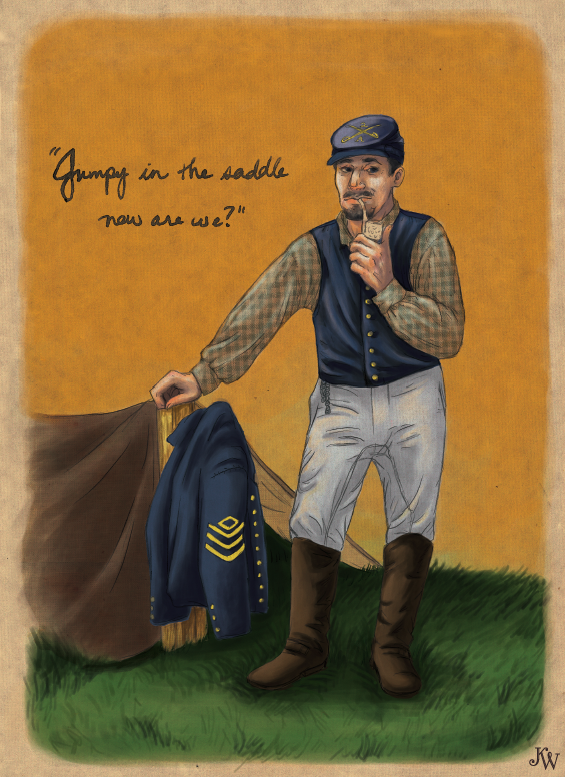 Kelly has a keen eye for historical details, above is a piece she did for a visual essay on Civil War Reenactor village near her Maryland home. 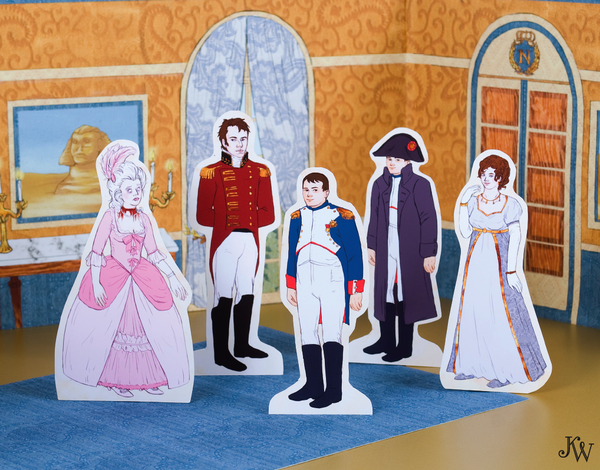 Another research intensive project she completed during an Illustration Senior Seminar, below, is her “paper theater” or “toy theater” based on the life of Napoleon. Toy theaters were once sold a souvenirs at the concession stands of Victorian-era theaters and opera houses. If you’d like to learn more about the fascinating history of these theaters, you might start with the Wikipedia entry, here. Kelly is currently planning to do a new toy theater based on colonial U.S history. This project seems like a perfect fit for Colonial Williamsburg or other historic sites in the Mid-Atlantic states. Kelly’s website is worth a visit, it has many more examples of her creative illustration and carefully researched graphic design projects.